I had the pleasure of attending a charity event for Music Crossing Borders. 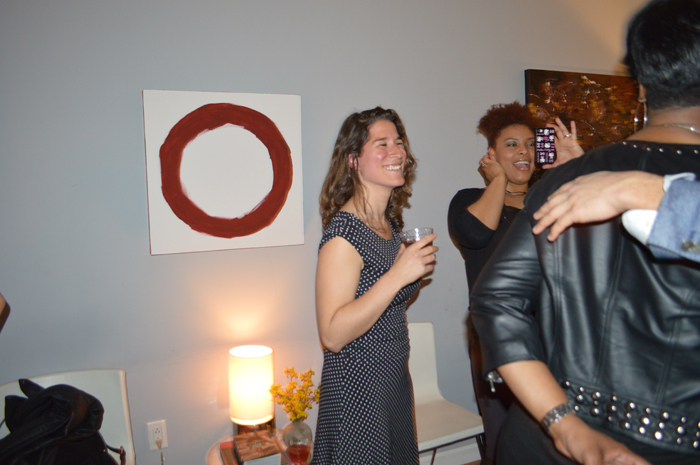 The soiree was hosted by my lovely friend Alex Cook. Alex took the time out of his busy schedule as the Director of Strategy & Operations at Ralph Lauren to get involved in this great cause and host this tremendously successful fundraiser. The Mission of Music Crossing Borders (MCB) is to make music an integrated part of the core public school curriculum by using world music as a vehicle to support and develop the academic experience. MCB works directly with the New York City Public School system to provide high-energy, interactive, world music programming to NYC's most economically disadvantaged communities. I wore my favorite royal blue Suzi Chin for Maggy Boutique dress. I'm absolutely in love with the butterfly sleeves of this piece! Alex did such a phenomenal job hosting and preparing the apartment for the event with fresh Spring flowers, hor dourves and drinks. A donation of just $25 will provide World Music Education Classes to a NYC public school student for the entire school year.